Technology has advanced treatment techniques, increased medicine effectiveness, and soothed the recovery period. Medical devices are packed with new sensors which create digital footprints for each patient. This generates new data, tracks patients’ care, and shortens recovery periods by using valuable information on-demand that is more accessible to doctors, hospitals, and clinics, without delay. This type of digital data is a viable reference when confronting future and pending medical cases that streamlines patient care. More hospitals are considering the use of digital footprints based on the following benefits they could bring to their practices. Not all patients can remember the specifics of previous treatments or diagnoses, while others lack the ability to verbalize it. Medical history is key when a doctor encounters a new patient, especially when immediate treatment or surgery is critical to their well-being. Two examples come to mind when considering the importance of digital footprints. Think of an Alzheimer’s patient. Due to this particular disease, patients aren’t able to recall previous trips or stays at the hospital and quite possibly, have no recollection of the symptoms that brought them to the hospital for an evaluation or in an emergency. Digital data, documented in this patient’s file, are interchangeable between hospitals and will give the doctor treating him or her the information they need to consult or treat. Now, consider a patient who underwent surgery or sustained an injury. Digital footprints can store their prescription history, helping derail a potential addiction due to over-prescribing painkillers. The stored history can also assist medical professionals in diagnosing a recurring problem, using a new medication that hasn’t been recorded as taken yet by the patient. Response times are key in all medical emergencies. More often than not, they make or break the successful recovery of a patient. Digital footprints are essentially the bible of discrete details that could save lives, offering the medical professionals on staff vital information that includes blood type, mental health status, pre-existing conditions, and more. If the patient delivered to the emergency room is unconscious, they will not be able to share basic details with the hospital. Any complete digital footprint will hold a patient’s family history, previous record of injury, or disease when attempting a diagnosis. To put it simply, digital footprints are a time saver. Additionally, they streamline patient care by eliminating wait time in hospitals, ICUs, and emergency rooms. This allows the larger majority of the population to be seen and receive treatment as needed, on the spot. Collecting digital data on patient records is beneficial to medical research. This data, with the proper permission, can be gathered from patients, stored, and then analyzed to improve healthcare. Treatment success rates can always make room for improvement, and using data collected from the population they treat can help understand patients, their needs, and their complications better. The standard quality of life can also be researched using digital footprints, by targeting an age range, disorder, or disease. Digital footprints gather extra data pertinent to improving health standards for example vital signs, i.e heart rate, blood pressure, etc can be correlated, using data science, to the new data that can be obtained from new sensors on new devices on the market and then can be used to treat or even predict diseases more effectively. Health insurance should be more accessible at hospitals. Digital footprints can follow patients to the hospital location they choose by insurance cards, helping them access their own healthcare benefits when traveling or seeing a new specialist for the first time. It’s far too often that hospitals can misdiagnose or inaccurately treat a patient without proper attention to existing health specifics. Something as simple as an insurance card, with a data chip embed in the surface, can offer details to medical professionals treating someone new for the first time. 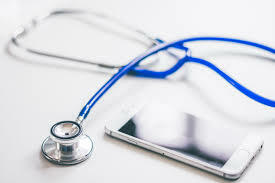 In the age of digital data, we’re creating a personal portfolio for each patient receiving care and assisting them with the pre-recorded information that will be updated on each visit and you can travel between medical settings, amongst a collection of different specialists in unique situations. Digital footprints is the solution we’re seeking out to speak for patients in a critical time of need. The benefits associated with the use of digital footprints in hospitals alone, are more than enough to support their undeniable value. When used in hospitals and especially in ICU’s, they become an essential medical tool for a population that is attempting to receive the best medical care and recovery options possible.